← North Americans, Golden Gloves, and UFC! 2012 WKA North American Combat Sports Championships were, in a word, stunning. 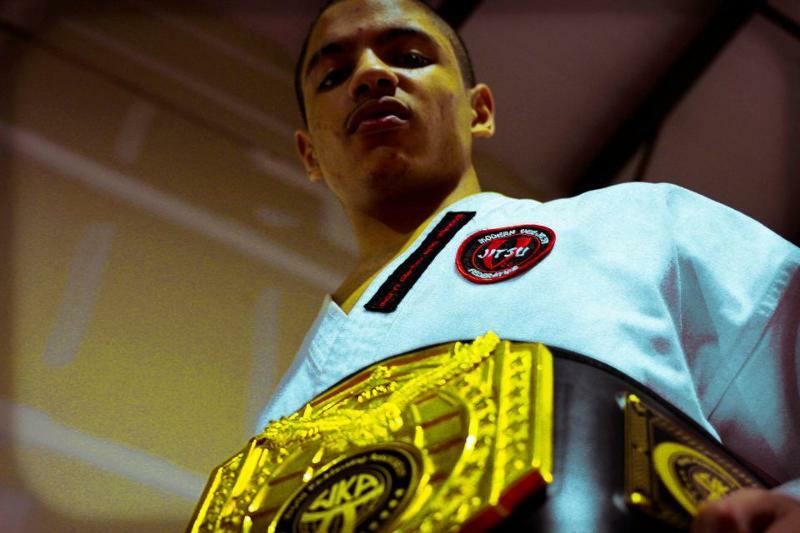 With more than 400 fighters and approximately 100 grapplers from more than 116 gyms from 20 states as well as Canada, the WKA tournament is showing its usual trend of year-to-year growth. In addition to growing in size every year, the WKA has striven to grow in terms of competitors’ needs as well. The addition of K-1 for adult males as well as the overwhelmingly popular Full Rules Muay Thai (in addition to the past disciplines of Thaiboxing, MMA, and Brazilian Jiu-Jitsu/No Gi Submission Grappling) is a prime example of this. With no limits on division sizes, competitors also had unlimited opportunity to grow their own experience by virtue of multiple bouts. WKA staff worked hard into the night Friday to ensure that everyone was bracketed properly and that nearly all competitors had at least one match. Competitors were bracketed into their proper weight class so that even if they did not make the weight they were aiming for, no one was turned away. Despite the number of competitors and the size of the brackets, the flow of the tournament as well as the use of three rings and a cage made for a smooth running competition which finished up surprisingly early both Saturday and Sunday. Fighters Inc., the tournament’s equipment sponsor, also helped with the smooth running of the competition by its generous providing of the gear for the tournament. WKA officials came from all over the country to promote the safety, fairness, and competitiveness of the Championships. A full medical crew, coming from CJW Sports Medicine and consisting of three doctors, several athletic trainers and physical therapists, and an emergency transport squad, ensured that fighters were well taken care of. No major injuries came out of the tournament, quite a feat for an event with so many matches. This event is the pre-qualifier for the US National Team, which will go on to compete in the WKA World Championships later this year in Orlando, Florida. Qualifiers get the chance of a lifetime to compete against the best amateur fighters from around the world at the WKA Worlds. Past US Team members have thoroughly enjoyed the experience and will never forget the great opportunity and the uniqueness of such a large-scale event. A special thanks to Fighters Inc. and to all the sponsors-Namman Muay, CJW Sports Medicine, Title MMA, L-1 Boxing, Chapes-JPL, I Like to Save, Battleware Technology-who made the 2012 WKA North American Combat Sports Championships the most successful event of its kind to date. This entry was posted in News & Results and tagged WKA, WKA 2012 North American Championships. Bookmark the permalink.